On May 8th, 2017, a large hailstorm passed through the western region of Denver, Colorado. Numerous reports indicated hail over 1 inch in diameter, which some suggesting hail roughly the size of a golf ball. Among the many buildings that were damaged by this incident was the Lutheran Hospital Chapel in Wheat Ridge, Colorado. 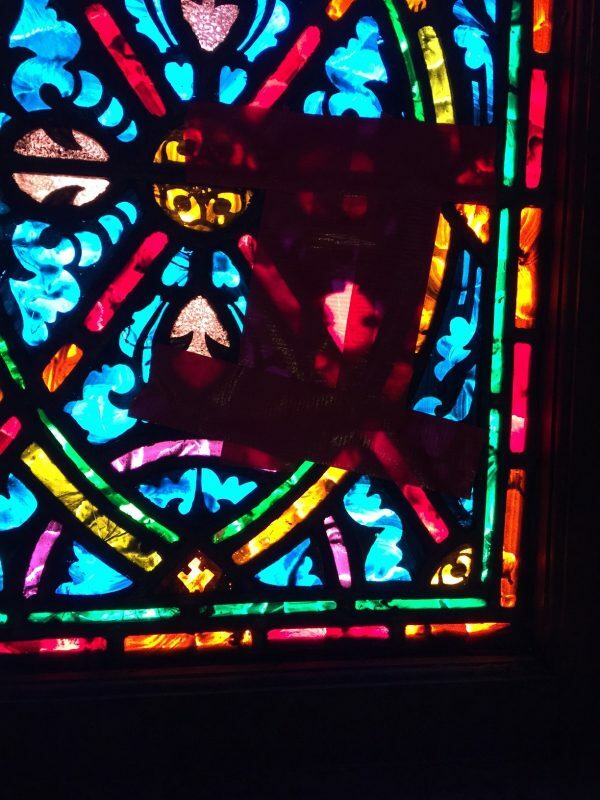 Several of the chapel’s stained glass windows had been impacted by the hail and many of the colored painted glass pieces were broken. The church contacted us seeking our assistance with the repairs. 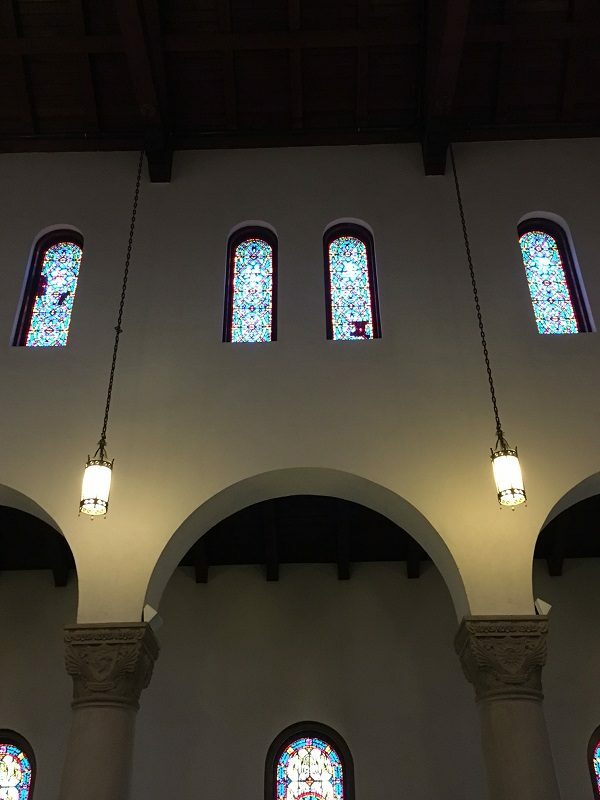 When we arrived for the initial inspection, we discovered that the repairs would be more challenging than most restorations because of the location of the windows. 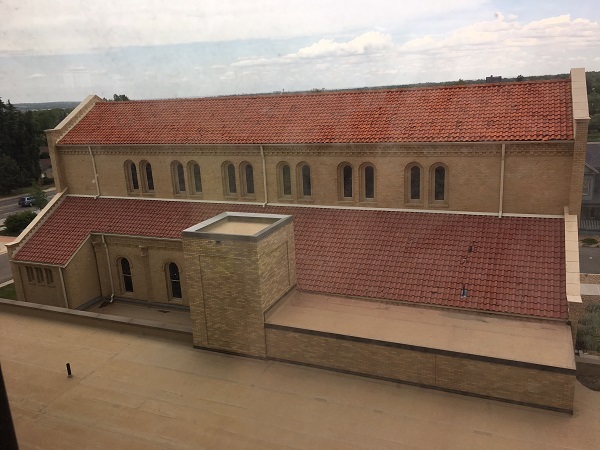 The chapel was split into two stories and some of the windows could be accessed from a flat roof which led to a slanted tiled roof that was about 30 feet off the ground.  However, because the damage was extensive, the repairs were absolutely necessary. We decided that off site repair would be the best method of approach. However, removing the windows would be no easy task since they were difficult to access. We had to be extremely careful that the work could be completed safely. As a solution, we rented a lift to access the flat roof. Then, we ordered two sets of concrete blocks which were set up on the opposite side of the building. We used the blocks as anchors and attached ropes to them which were then cast over the top of the roof and left to dangle on the opposite side. From the flat roof, our technicians could use harnesses to attach themselves to the ropes so they could complete the work. 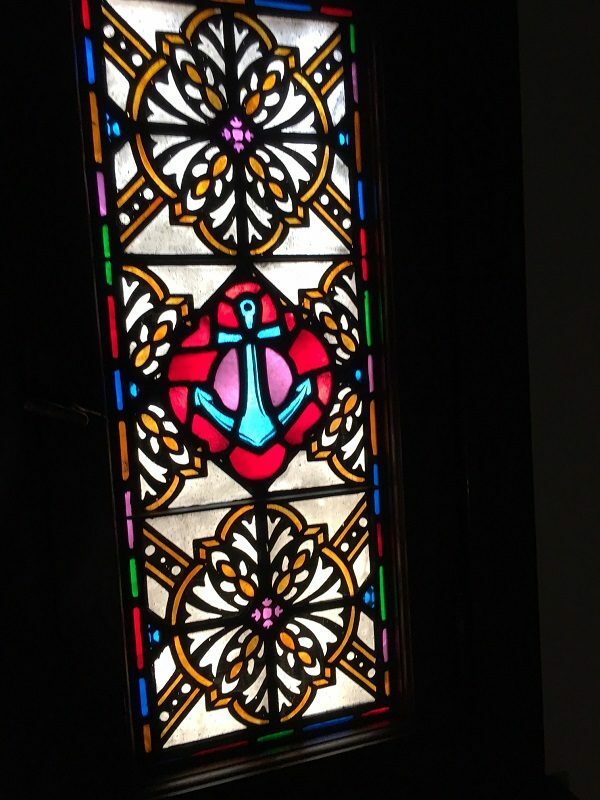 This ensured their safety and allowed them to work on removing the stained glass without any chances of slipping or falling. The fourteen windows were removed from the building and transported to our workshop. There, we allowed the panels to soak in a bath of gentle cleansing solution to remove the dirty and build up that had accumulated over the years. Then, the panels were carefully disassembled and repaired using new leading and glass to replace the broken pieces. The project took about 20 weeks to complete but was well worth the effort. 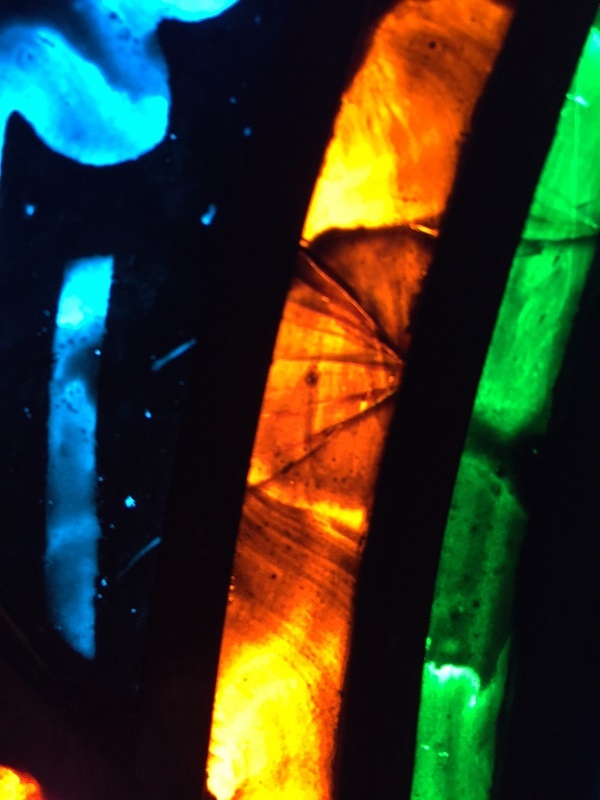 Bring new life and beauty to your church with church stained glass restoration from Scottish. Contact our office to speak to a designer about your project or receive an estimate on our services.